We welcome Jodie Bradby as our new president. 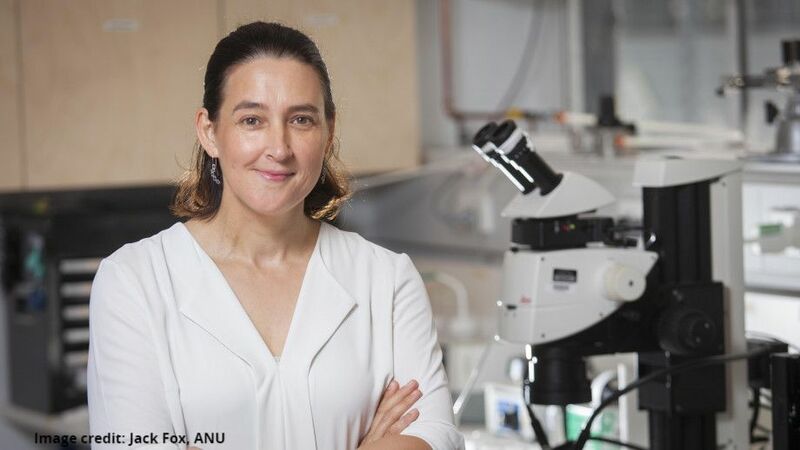 Jodie is the leader of the high-pressure physics research group at ANU and is a passionate advocate for Women in STEM. Jodie is the second woman to hold the position of AIP president since Cathy Foley (2007-2008) and will spend two years in the role. As President, Jodie wants to encourage strong participation from students and early and mid-career physicists from universities, companies, and industry with the AIP. Jodie would love to see a greater appreciation of the strengths that a physics-trained graduate can offer companies and industry and those graduates retain their identity as professional physicists as they move into roles in sectors such as manufacturing, mining or finance. Conscious of the fact that ‘you can’t be what you can’t see’, Jodie also hopes that throwing herself into a role like this one will encourage others to make the most of leadership opportunities. Jodie’s research is focused on understanding how materials respond to pressure and the nanomechanical responses of brittle materials such as glasses and bio-materials. Jodie has worked extensively with semiconductors such as silicon and germanium and is now very excited about using a combination of extreme pressures and shear to create new forms of carbon. As a student Jodie was awarded a Gold in the Materials Research Societies’ Graduate Student competition and is also a past recipient of the Philips Cowley-Moodie Award for Australian Electron Microscopy. 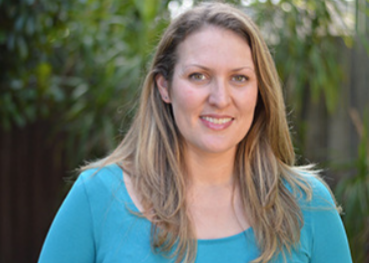 Jodie has held several ARC grants including Linkage Projects with a start-up company called WRiota which was formed as a result of her doctoral work. She has published more than 100 papers and has three patents. And in 2015, Jodie was the Australian Institute of Physics Women in Physics Lecturer, touring the country talking about diamonds and high pressures. Read more about Jodie in the ANU’s media release. The AIP Federal Executive was announced at the AGM on Tuesday 12th February at the University of Melbourne. We warmly welcome Sven Rogge, Scientia Professor and Head of the School of Physics at UNSW, as our new Vice President. 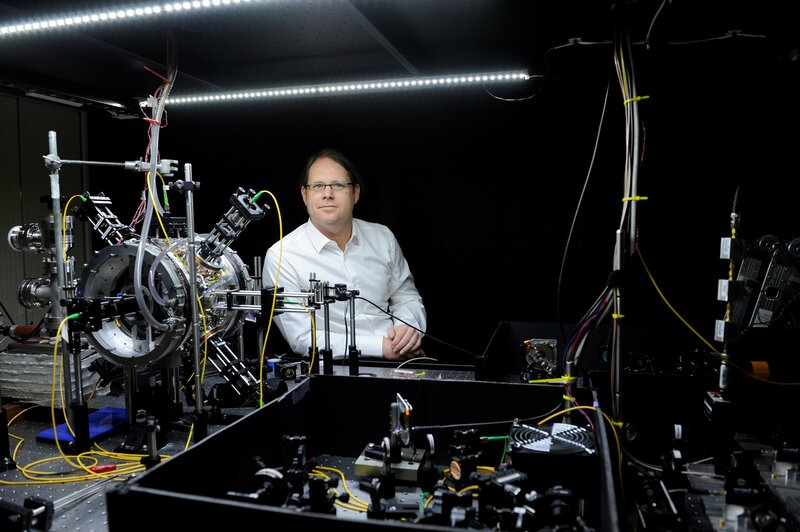 Sven’s research interest is in condensed matter physics and his team study the interaction between quantum objects (like qubits) and their environment including light, which are essential for quantum computation. Sven will be AIP President in two years’ time. And Warrick Couch will be stepping off the executive after serving six years. Warrick served as the AIP President from 2015 to 2017. The AIP’s annual Council meeting took place over two days at Melbourne University earlier this month. And the roaring success of the 2018 Women in Physics Lecture tour by Ceri Brenner—more than 2,800 people attended talks across Australia. Elisabetta Barberio, the 2018 AIP Walter Boas medallist , gave a public lecture about her fundamental contributions to the experiments and analysis that led to the discovery and characterisation of the Higgs boson at CERN, and the search for physics beyond the standard model. This meeting is a chance for the AIP to come together and report activities and discuss better ways of running the organisation. Although we are moving fast towards presenting a new updated constitution for approval by the members (towards the middle of 2019 hopefully), a motion was passed by the Council at the recent Council Meeting to delete bylaw 23. This will take effect as of April 1st 2019. The bylaw gave the executive the power to consider giving free membership to retired members. Other bylaws already give the executive this power. The motion was deemed obsolete and unnecessarily confused the current membership protocol. If you would like more information, please contact the Honorary Secretary Kirrily Rule at aip_secretary@aip.org.au. In February a group of 12 people met to review the Physics Decadal Plan in Canberra. The National Committee for Physics is run by the Australian Academy of Science. On this occasion the AIP and the National Committee agreed to work closely together to come up with a short, snappy but useful vision document for Australian physics. The updated document will take into account both the feedback we have received from the community over the past year of the consultation process, and changes since the original decadal plan was written (i.e. new discoveries, new challenges, changes to grant systems etc.). International engagement in physics: Engaging in the international enterprise of physics. We aim to publish the final report by October and will need the support of the Australian Physics community to review and help implement these goals. Read more about the Physics Decadal Plan on the Australian Academy of Science website. Particles of light come in many possible shapes—in fact, an infinite number. More information can be packed in particles of light if information is encoded in their many possible shapes. With quantum physics, this can lead to better guarding against the growing risk of cyberattacks. 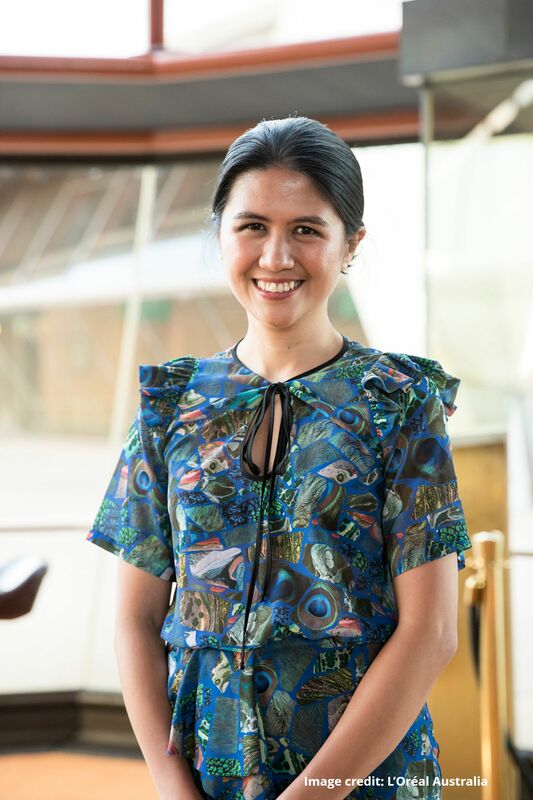 For this research, quantum physicist Jacq Romero (an AIP member) from the ARC Centre of Excellence for Engineered Quantum Systems (EQUS) and the University of Queensland, has been selected as one of 15 L’Oréal International Rising Talents—chosen for significant contributions to the field of quantum physics and as a future game changer in science. “By exploring high dimension quantum physics, I believe I will be able to unlock a new physics of information that is currently unknown to us,” Jacq said. Jacq is trying to understand the nature of information using particles of light to achieve more reliable secure communication and better data privacy. Congratulations Jacq! You can read more about Jacq’s award on the EQUS website. As head of a group that generates more than $6.5M of business with industry, and co-founder of a company that is likely to undergo a 5-fold expansion in its fourth year, Andre Luiten is a physicist turned entrepreneur with a lot of commercialisation experience under his belt. Andre is head of the Institute for Photonics and Advanced Sensing (IPAS) at the University of Adelaide. He leads a group of 250 people that encourages and facilitates a close working relationship between industry and academia. “Over the last year, IPAS members worked with over 70 companies and did more than $6.5M of business with industry,” said Andre. Members have also pursued the direct commercialisation of their research with three spin-out companies in the last year and one more in the pipeline for 2019. Andre is also the co-founder of Cryoclock Pty Ltd, a company that develops low noise and high stability oscillators. The company made a small profit in its first year of operation, which Andre says is all too rare for new companies. This year Cryoclock is likely to undergo a 5-fold expansion in personnel and income as it begins to ramp up to provide precision instrumentation for a range of industries. For the world’s most precise clock, the Cryoclock team won the 2017 DST Eureka Prize for for Outstanding Science in Safeguarding Australia. Andre was the winner of the 2018 Alan Walsh Medal that was presented at the 23rd AIP Congress Dinner in Perth in December for his leadership in commercialising breakthrough research to support industry needs. What advice would you give to other physicists who want to commercialise breakthrough research? One interesting fact I have learnt is that people looking to invest in a company are much more interested in the team than the product/technology or even the market. As scientists we often focus on the tech and its perceived qualities perhaps even to the exclusion of the market and team. This mismatch is something the would-be entrepreneur needs to overcome if she/he wants to be a success. It is vital to go and get some training in business skills/entrepreneurship. The CSIRO On program was great for us—but I am sure that there are other great programs. This gives you the language of business as well as focusing the mind on the critical benefits of your tech according to real-world markets. Startup weekend is an even quicker way to hone your pitch and learn if the start-up eco-system is the place for you. I think it is critical to do lots of talking and networking about your idea—in my opinion the probability of someone stealing your idea is negligible in comparison with the benefits of meeting the right investor, customer, co-founder or contact. Further, it will teach you to really talk about the key values of your product in a way that is understandable to a non-technical audience. Of course, if it turns out your idea is not good, then it is much better to find this out early before you have invested inordinate effort. You will only find this flaw by talking widely. Make sure that you have a few mentors and assemble a team of diverse people to bring your idea to fruition. Creating a company can be a lonely and frustrating experience but also hugely rewarding. You want to make sure that you have the right group of people, with a broad skill set, to help you on this journey. The board of my company, and a broad assortment of other mentors, have been indispensable for me. The good news is that I have found that there is a wealth of talent in the community who are happy to volunteer to help in getting new ideas off the ground. Make use of them! For training in business skills and entrepreneurship, find out more about the CSIRO On program or Startup weekend. I was talking to a guest at my table and her career sounded so amazing. Then I realised that in eight years that could be me. I got so excited. This was a comment from a student at last year’s Girls in Physics Breakfast—an event that aims to inspire the next generation of female physicists and engineers. VicPhysics is inviting you to join one of their free events held throughout Victoria to meet like-minded students and women and to listen to a prominent scientist talk about their current research. The event is perfect for girls in Year 10 to 12, with the opportunity to sit at a table with young women in the early stages of their science or engineering careers. And if you are a career researcher, PhD candidate or an undergraduate student, the event is free. Thursday 30th May in Melbourne: Dr Susie Sheehy from the University of Melbourne and Oxford University, about colliding worlds and using particle physics to cure cancer. Late July, Clayton: the date, venue and speaker are yet to be finalised. Want to find a previous issue of Australian Physics? Now you can. All past issues of Australian Physicsare now available on the AIP website. Since its’ beginnings in 1964, the journal has undergone many name changes including The Australian Physicist (1964 – 1991), The Australian and New Zealand Physicist (1991 – 1999), The Physicist (1999 – 2005), to its current name Australian Physics. 2019 L’Oréal-UNESCO For Women in Science Australia & New Zealand Fellowships are open for nominations. There are four Australian Fellowships and one NZ Fellowship available at $25,000 each. Applications close Monday 4th March at 11.59pm. Find out more here. Prime Minister’s Prizes for Science: nominations for the seven prizes are open—they range from the Prize for Science to a prize for New Innovators, and prizes for science teaching excellence. Entries close Tuesday 12th March. More information available on the website. The Australian Museum Eureka Prizes are now open. The categories are research and innovation, science engagement and school science. Entries close Friday 3rd May. More here. The Royal Society of Victoria Medal for Excellence in Scientific Research: The Medal is awarded to a scientist from one of four fields, which rotate annually. In 2019 the category is Earth Sciences. Opens 31 March. Read more here. Abstracts are now open for the 2019 Asia-Pacific Physics Conference in Malaysia, held from 17 to 22 November. Topics range from astrophysics, computational physics, physics education and women in physics. Australia’s Nuclear Science and Technology Organisation (ANSTO) is looking to recruit two beamline scientists to assist in delivering new beamlines at the Australian Synchrotron. Applications for both roles close on Sunday 17th March. 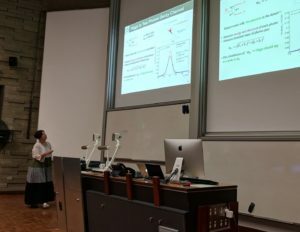 Reviewing the history of the Universe and sharing tricky questions from last year’s VCE physics exam were two of the topics covered at the 2019 Physics Teachers’ Conference in February. The conference opened with VCE Physics’ Chief Assessor, Andrew Hansen, highlighting the difficult questions that students tripped up on in the 2018 Physics Exam—and how teachers could help improve student results. using music to learn about sound waves. 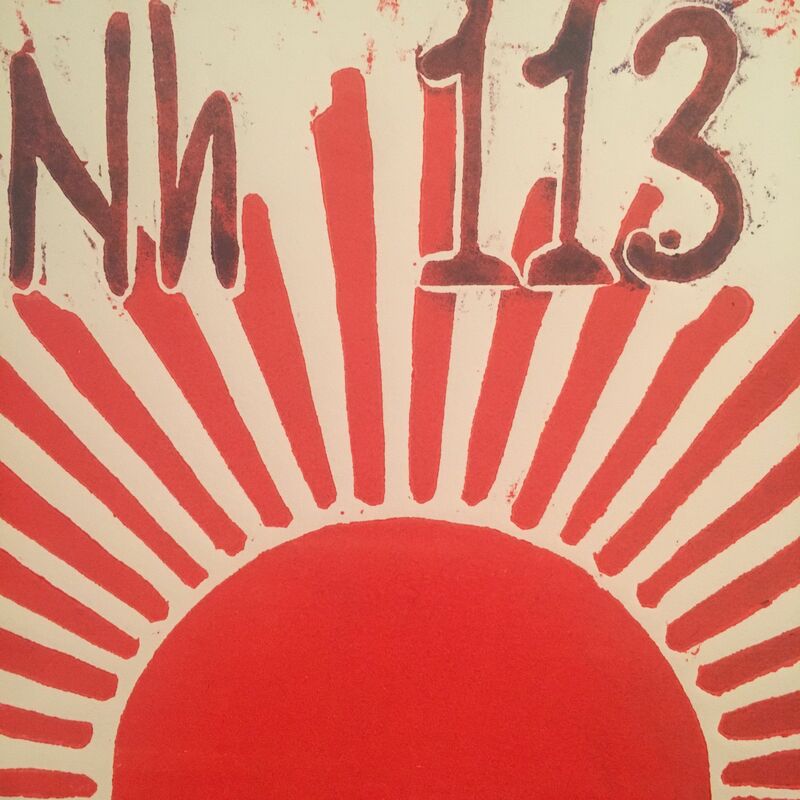 The artwork 113 Nihonium (see right) by printmaker Linda Abblitt was released last Thursday 28th February as the first artwork as part of the International Year of the Periodic Table. Like many of its fellows in the seventh period, nihonium cannot be found in nature. The first element discovered in Asia, element 113 was also the first to be synthesised in Japan. Confirmed discovery of an element conveys to the discoverers the naming rights (following set conventions, of course), and so, in late 2016, nihonium was officially added to the periodic table. Stay tuned as RACI will be launching an element each week on the RACI website and Twitter account. The complete artwork for the poster will be launched on the 4th April. What’s better than spending time in a physics class? Learning about physics while riding on rollercoasters at Luna Park! The annual VCE Physics Days at Luna Park are back in 2019 and will be held on Tuesday 5, Wednesday 6, Thursday 7 and Friday 8 March. Students will learn about forces by observing the motion of amusement rides, and worksheets have been developed with specific relevance to Luna Park. This is tailored for students completing Unit 3 of VCE Physics and costs $26.50 per student. Teachers and support staff are free. The bi-monthly bulletin for the Association of Asia Pacific Physical Societies (AAPPS) has been running since 1991, to reflect and promote research developments and activities in physics in the Asia Pacific region. The December bulletin featured articles about primordial black holes and the first telescope on a Cherenkov Telescope Array that will look at the sky at higher energy resolution than ever measured before. ‘Cherenkov light’ refers to the blue flash lasting a few billionths of a second that occurs when ultra-high energy particles travel faster than light in air. Any questions about AAPPS, the Bulletin or the Newsletter can be directed to Brian James—a member of the Bulletin’s editorial board. Or for more physics stories from the Asia Pacific, subscribe to the AAPPS bulletin. In only two months’ time competitors from 25 Asia-Pacific countries will arrive in Adelaide for the Asian Physics Olympiad. Wondering what an International Physics Olympiad exam looks like? YouTube content creator Toby Hendy (@Tibees), known for the ‘Unboxing exams’ segment on her channel, sat down with Australian Physics Olympiad Program Director Siobhan Tobin to find out what the five-hour theory and experimental exams in the world’s toughest physics competition look like.